Here are some more pictures of Christmas stuff around town. Enjoy! 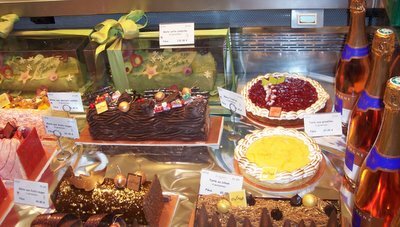 The window of Lenôtre (the gourmet bakery). 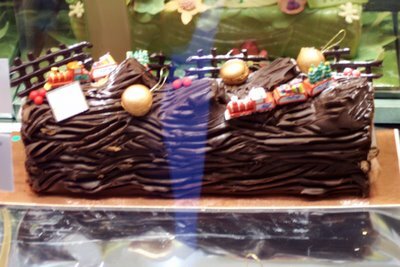 A close-up of one of the Lenôtre bûches de Noël. This lovely little treat will set you back 65 euros! The Christmas tree outside of Notre Dame Cathedral. 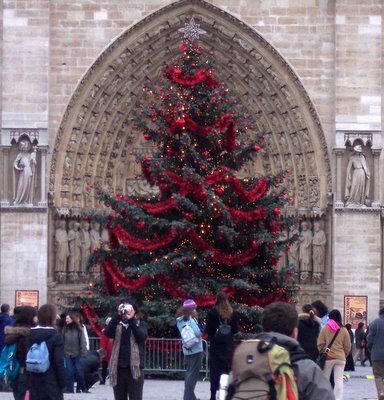 This is, by far, the most beautiful Christmas tree that I have seen to date in Paris. 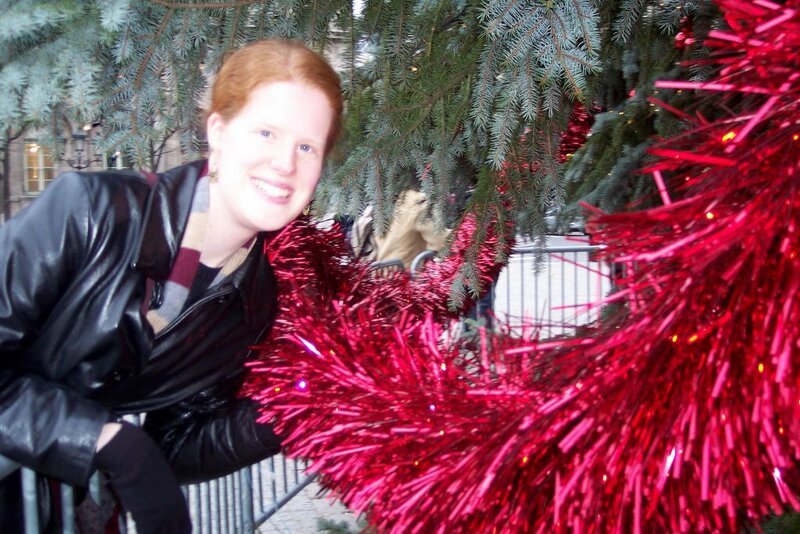 Rachel poses next to the Notre Dame Christmas tree to give some perspective on just how HUGE the tinsel is. It was your dream, and it was my dream. And our dreams were realized.